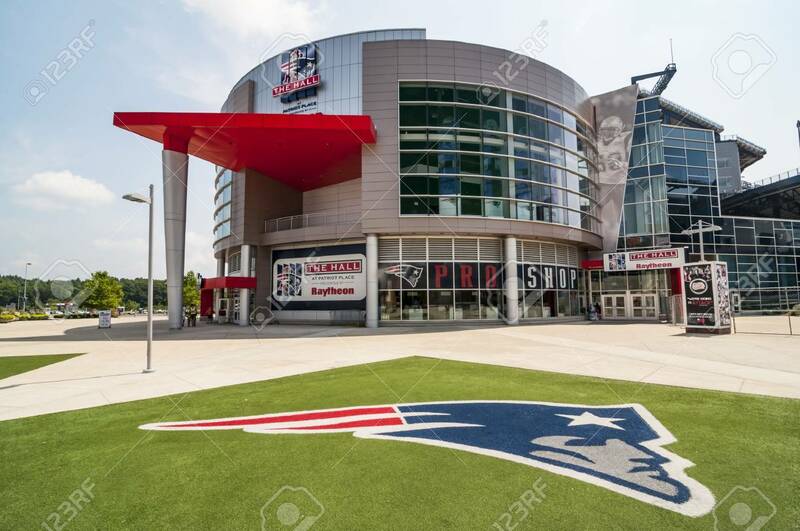 FOXBORO, MA - AUGUST 4: Gillette Stadium, Home Of The New England.. Stock Photo, Picture And Royalty Free Image. Image 61869800. Stock Photo - FOXBORO, MA - AUGUST 4: Gillette Stadium, home of the New England Patriots on August 4, 2012. It is located 21 miles southwest of Boston and 20 miles from Providence, Rhode Island. It can sit 68756. FOXBORO, MA - AUGUST 4: Gillette Stadium, home of the New England Patriots on August 4, 2012. It is located 21 miles southwest of Boston and 20 miles from Providence, Rhode Island. It can sit 68756.